With economists once again uttering the “R” word, there has been surprisingly little discussion about how a new recession would impact the advertising and media marketplace. That’s probably because historically, the ad industry lags going into economic recessions, due mainly to the fact that there is some inertia in the planning of ad campaigns and the commitment to media buys for many major brands that normally takes months or quarters to course correct. I’m not sure, given the hyper efficiency of programmatic markets, the shift to more real-time performance indicators, and the rising role of direct-to-consumer brands, that will once again be the case should another economic contraction take place. But there is one segment of the industry that likely will feel an immediate impact -- so-called “ad tech” -- and maybe that won’t be such a bad thing. The first part of that statement was prompted by a note I got this morning from Keith Bachman, a securities analyst at BMO Capital Markets who follows information technology. And while Bachman tends to track the big publicly traded IT companies, I think his insights could well be applied to the ad industry’s major IT players too. 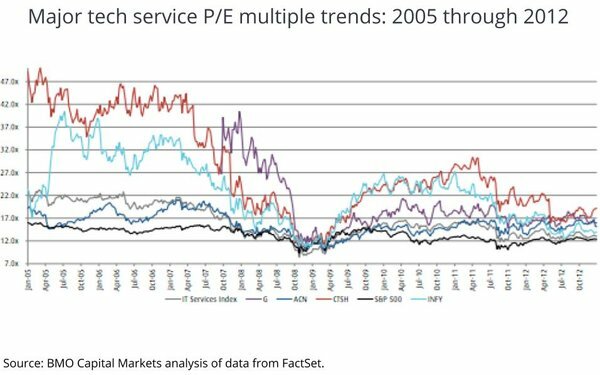 The bottom line, according to Bachman, is that technology services are not a “defensive” play for investors in a recession, meaning they tend to contract more than other industries do. Based primarily on an analysis of what happened in the last economic recession following the financial crisis in 2008 and 2009, Bachman developed indices showing a strong correlation between technology services and GDP growth. Or in the case of a recession, a contraction. The bottom line is that a new economic recession likely will likely have a disproportionate impact on technology services as their customers forego or reduce spending to adjust contractions in their own markets. Why is this potentially a good thing for the ad industry? Well, if you’re one of the many industry observers who believe the ad tech sector is cluttered and a glut of redundant single-point solutions, then a shakeout might actually help the industry become more efficient. It will also force some ad tech service providers to become more realistic about their commissions and fees, helping to reduce the so-called “ad tax” of programmatic media buys. 1 comment about "Ad Tech's Most Worrisome Acronym: GDP". Kevin Horne from Lairig Marketing, January 14, 2019 at 3:13 p.m.
Hmmm, many of us old-timers remember the recessions of 2000 and 2008 quite differently, i guess.